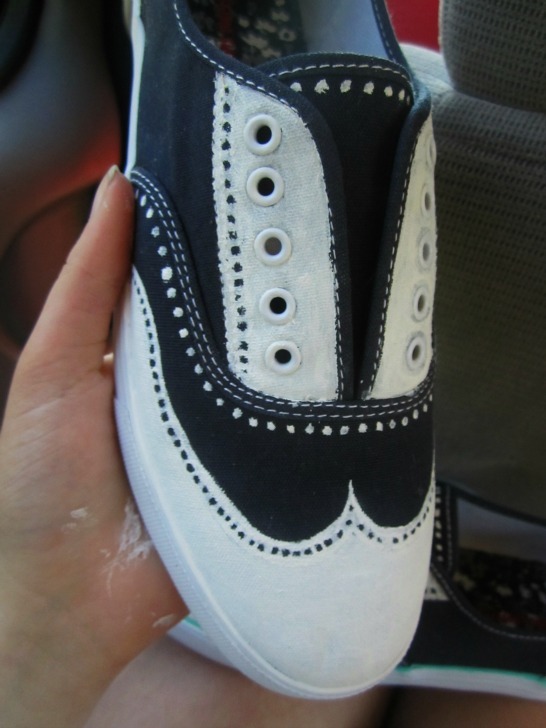 My very talent sixteen year old niece, Dayna, created these adorable painted tennis shoes. What a fun pair of unique shoes to wear when school starts back up! So if it’s too hot and humid outside, why not come inside and make your own pair? 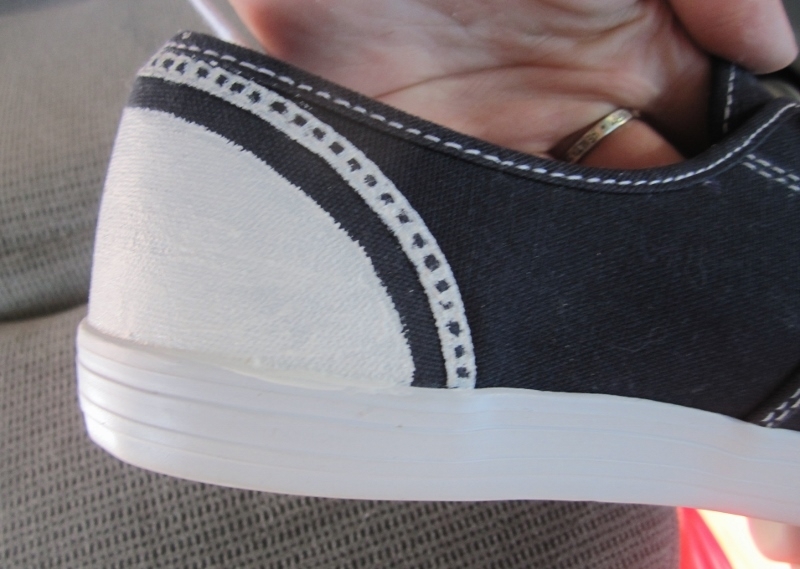 You can always play around with the design or color scheme to create your own unique pair. 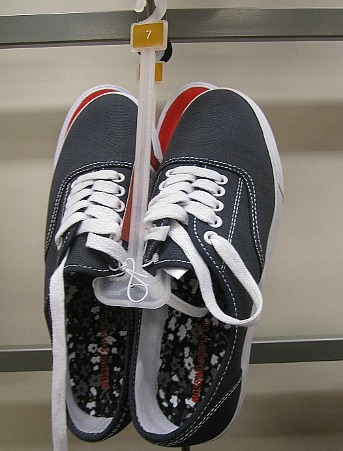 Tennis Shoes – Black Tennis Shoes. She bought these at Target for around $15, I saw some similar ones in red, white or blue for $13. Paint Brushes – you will need some brushes with a finer point and at least one that’s a little wider to do the larger areas. 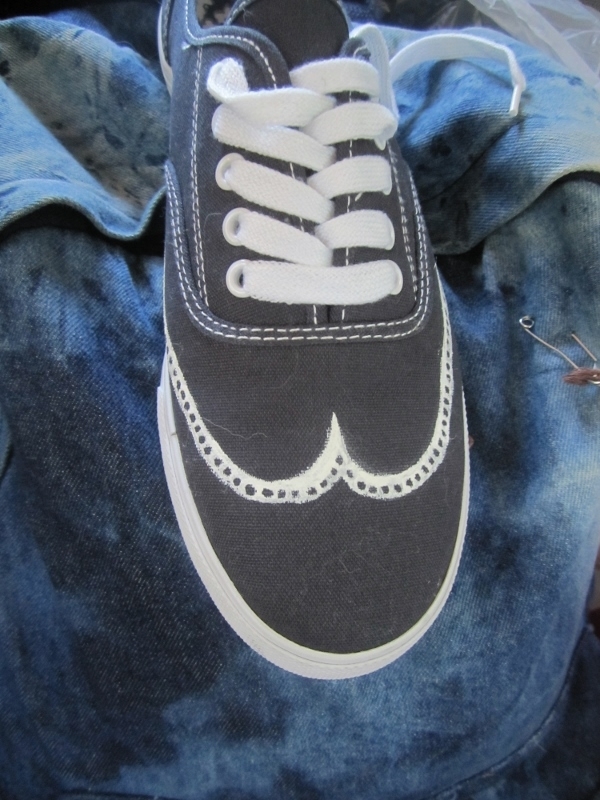 Use chalk or a pencil to lightly outline the area’s you will paint. 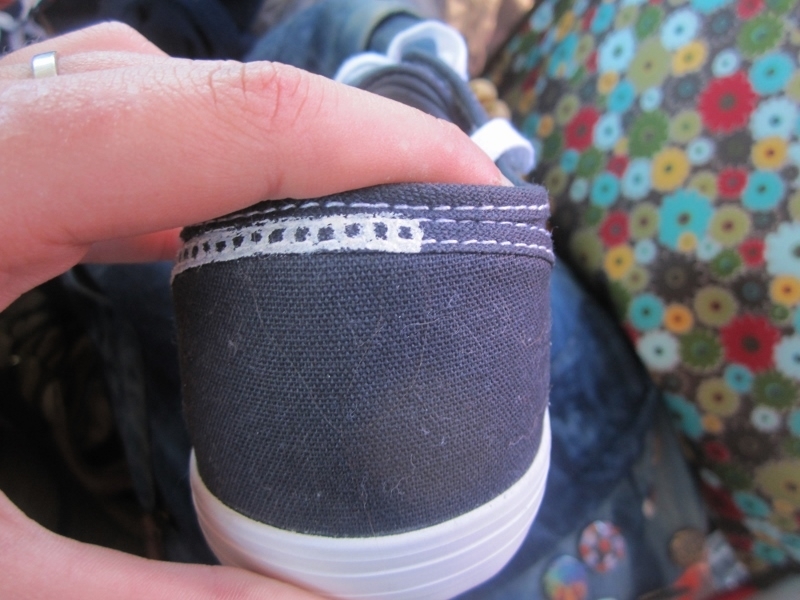 Start with the large white area on the front toe, around the shoelace eyelets and the heel. Once you have your outline where you think you need it (you may be able to paint some of it on freehand, use the wider brush (1/3 to 1/2 inch) to paint the white area. After the first coat dries, paint on a second coat. 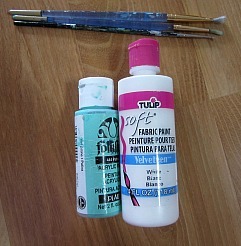 Once you have the large area’s painted, switch to the finer point brush to put the dots and dashes on. 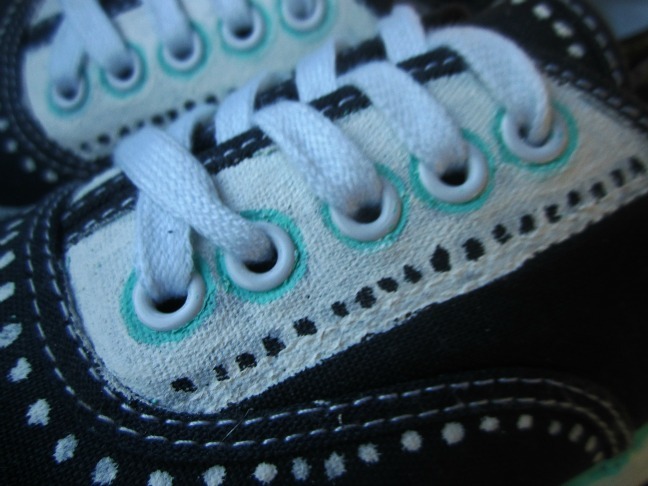 She didn’t paint the black dots/squares on – she went around the black shoe with white paint. It may be easier to paint the whole strip white and come back later to add the black. She didn’t use any black paint – but I think I would. 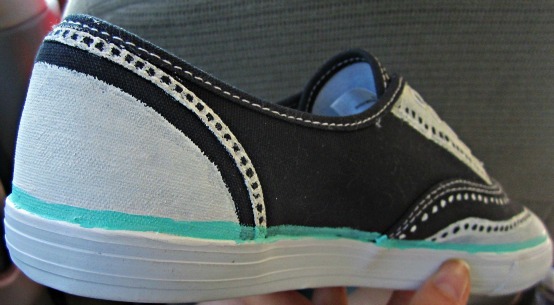 After you have finished with the white paint, use the Turquoise to outline the metal shoelace grommets and the black to make dashes according to the photo. 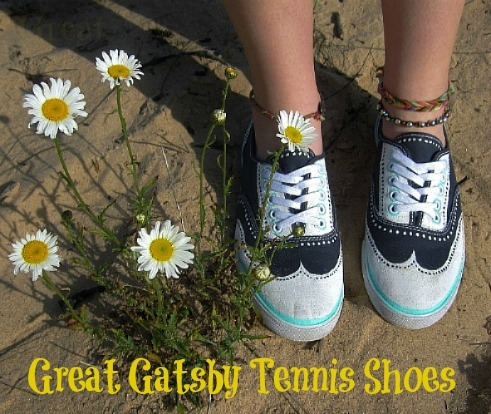 What a nice looking pair of tennis shoes! If by chance you are not crafty in the least and would like to own a pair then check out Dayna’s Etsy store – she maybe selling a few pairs soon! Choo! Choo! A Day Out With Thomas Giveaway!